PRODUCT DESCRIPTION: Tapered corks designed to fit and seal the holes created by nesting Carpenter bees. WHERE TO USE IT: In the holes created when carpenter bees drill through wood to create nests. After the holes have been treated with Drione Dust, cork them for two reasons: 1) Having the holes sealed will keep the Drione Dust protected so it will last several years. 2) The corked holes will allow you to keep track of the nests you have treated. New holes will be easier to find since they won't be sealed yet! 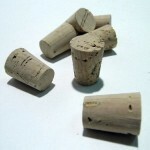 RATE OF APPLICATION: One cork per hole or nest. 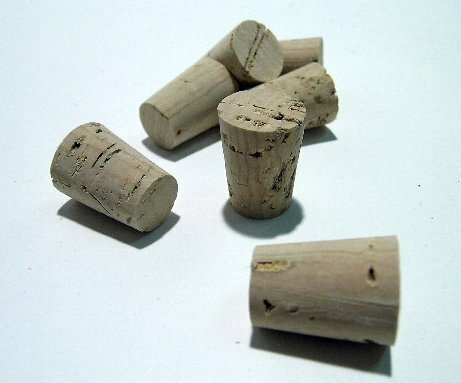 I ordered these corks to plug the holes bored into the eaves of my house by carpenter bees. I was pleased as they work well. Also, I received my order in a very timely manner. I would definitely recommend these corks.